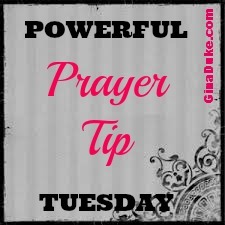 Prayer Tip Tuesday – Enter in with Praise & Bless His Name! 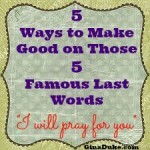 So many of us feel like failures when it comes to prayer. Some say they do not know how to begin or where to start. Based upon this, we can easily determine that our starting point in prayer is praise and thanksgiving. I think thanksgiving is easier than praise because we can quickly reflect on our day and recognize those moments for which we wish to thank God. We thank Him for His provision, healing, blessings, deliverance and the like. But what about praise? What about praising or blessing His name??? Never fear! 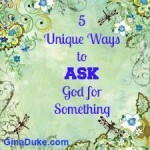 I have a helpful question for you to use as a springboard into prayer. In Matthew 22:42, Jesus asks a thought-provoking question, “What do you think about the Christ?” When I came across this question I felt compelled to answer it for myself. I found it to be a very enlightening exercise, and the results of my ponderings have long since been used as the springboard into my own personal times of praise and worship. Now, I offer it to you. What do you think about the Christ from an emotional standpoint? Let me ask it this way: What emotional void do you have? I want you to know that whatever it is, Jesus can fill it. For me, Jesus is the Lover of my soul. 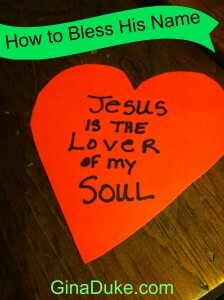 When I was in a terribly dysfunctional marriage with a man I did not feel loved me, Jesus was the Lover of my soul. When I was single again, Jesus was the Lover of my soul during that lonely season. When I married a wonderful man who loved and adored me, I began to depend on him to make me happy, but soon realized I had to re-establish the correct source of my emotional stability. As much as my husband loves me, he cannot and should not be expected to meet all of my emotional needs. Jesus has to be that Person. The fabulous thing about Jesus, the Lover of my soul, is that there will never come a day when I am not good or pretty enough for Him. I will never wake up one day and sadly realize that He does not love me anymore, or prefers someone else over me. 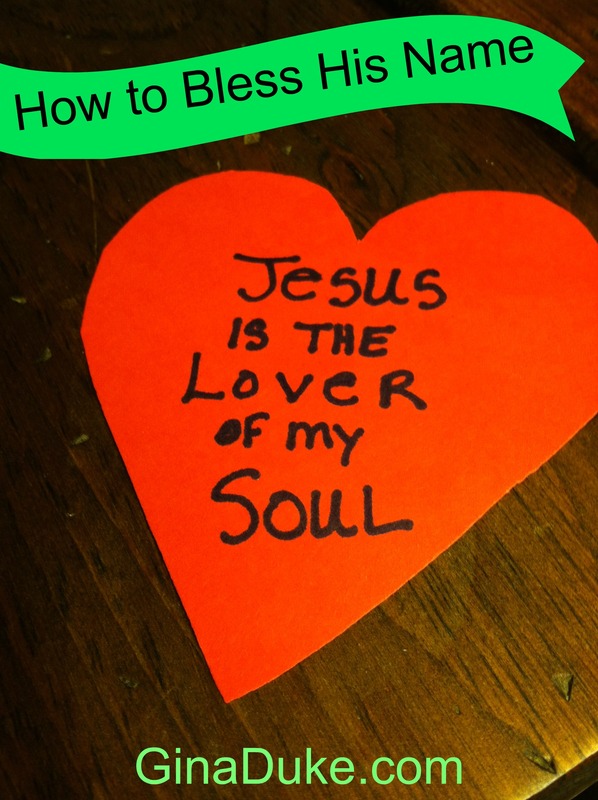 Jesus meets all my emotional needs; He is the Lover of my soul – what do you think about the Christ? Then, bless His name!!! In my quest to further answer this question, I also thought of the scriptures about Jesus that appealed most to me. I love all the verses that describe how Jesus sat down at the right hand of God, or states that He is seated at the right hand of the Father (Luke 22:69, 1 Peter 3:22, Col 1:16, Mark 16:19, Hebrews 8:1, Hebrews 10:12). To me, this is the posture of Jesus’ power and authority! And then there is the stoning of Stephen where Jesus stood on his behalf. I believe when the enemy is beating us down, Jesus stands ready to save! “Look,” he said, “I see heaven open and the Son of Man standing at the right hand of God.” Acts 7:54-60. This is the posture of His Saviorship! 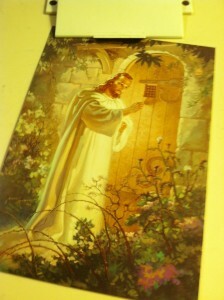 In Revelation 3:20, Jesus says, “I stand at the door and knock…” Jesus is my Savior – every day! What do you think about the Christ? Then, bless His name!!! Surprisingly, as much as I love contemporary praise and worship music, it was an old hymn from my childhood that resonated most with my feelings about Jesus. I think about the chorus from “What a Day that Will Be” and I know that Jesus is my Reward. Jesus is my Reward! What do you think about the Christ? Then, bless His name!!! 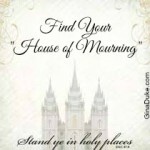 It is this question that I return to every time I am having difficulty settling my heart and mind into prayer. This question has jump started my prayer life. It is my spring board into praise and worship. So for one last time, allow me to ask you – What do you think about the Christ??? Then, bless His name!!! How do you bless the name of Jesus? I would love to hear what you think about the Christ! Today, I am also guest posting at Sandy Ralya’s Beautiful Womanhood @MentoringWives. I’ve got 5 course corrections you can make to becoming a better wife. To read my post, click here and go to her blog. Filed Under: Prayer Tips Tagged With: how to start a prayer, Jesus is my Savior, Lover of my soul, Matthew 22:42, Powerful Prayer, Powerful Prayer Points, Powerful Prayer Tips, Praise, Praise and Thanksgiving, Praise and Worship, prayer, praying, Psalm 100:4, starting prayer, What a Day that Will be, What do you think about the Christ? Found you on Time Warp Wife! What a thought-provoking question! The first thought that comes to my mind is redeemer. He redeemed me when I was so undeserving. Thank you for sharing this! Yes, Redeemer He is. I like it! Thanks for popping over Nicole. Feel free to share this post with your friends and ask them what they think about the Christ!